Wow, I only missed one goal last week, and that was attending my poetry group meeting on Tuesday. My posts were all up on time and I even managed to write my Rondeau. I participated in the Musical Chairs Blogfest where I was challenged to write something for children. You can see what I came up with HERE. And best of all, I added 2,000 words to Forever and For Always. The bad news there is, all those words and I only managed to fill one of the plot holes. Some times it pays to get up early. I was caught by surprise with a story idea on Monday when I was getting ready to go to work. It was so strong that I sat down and wrote out a flash piece. Tuesday: Part five of my series on Home Remedies. This week will feature remedies for burns. Wednesday: Another Hump Day Hunk for your viewing pleasure. Thursday: The poetry form of the week will be the Rondeau Redouble. Should be twice as much fun as the Rondeau, right? The key to last week was organization, and the fact that I had all my posts except my poetry example written ahead of time. Unfortunately, I had other things occupying me on the weekend, so that’s not happening this week. I’ll just have to be super vigilant about staying away from the games. The one thing I didn’t get done last week was any reading, so starting this week I want to schedule in time to read. I’ve got a couple of books on the go and I just picked up a new one on the weekend that I’m eager to get to. Another thing I didn’t get done is keep up with my blog commenting and for this I am truly sorry. While I did manage to read most of my favourites, I just didn’t have time to comment on most of them. I’d like to try and do better this week. I’m working in someone else’s office again today and since this is the end of their pay period I won’t know until later if I’ll be there the rest of the week. So, in some respects this week is pretty much up in the air. And that’s pretty much it for my week ahead. How’re things with you? What’s new and interesting? The rondeau began as a lyric form in thirteenth-century France, popular among medieval court poets and musicians. Named after the French word for "round," the rondeau is characterized by the repeating lines of the refrain and the two rhyme sounds throughout. The form was originally a musical vehicle devoted to emotional subjects such as spiritual worship, courtship, romance, and the changing of seasons. Whether it's grandpa's secret recipe for a hot toddy, or Uncle Bob's sure fire cure for the hiccups, home remedies have been around for a long time. Between the rising cost of medicine and the length of the lines in the waiting rooms, more and more people are turning to home remedies for their minor illnesses. This series is just the tip of the iceberg when it comes to home remedies. It should go without saying that the remedies in this series are for entertainment purposes only. Create an infusion by covering one ounce of dried yarrow with a quart of boiling water. After 4 hours, strain the infusion. The infusion may be sipped as tea. Alternatively, yarrow tea may be made by steeping 1-2 teaspoons of the dried herb in one cup boiling water. Drink three times daily. Pour 1 cup of boiling water over 1 teaspoon of mustard seeds, steep for 5 minutes, and drink. Soak 25 raisins in 1/2 cup of water. Crush the raisins in the water and strain. Add 1/2 teaspoon of lime juice to the water and drink 2 times a day. If you're over 21, enjoy a hot toddy made by adding honey, lemon, and whiskey to hot water. Apply sandalwood paste on forehead. Slice a potato, soak the slices in vinegar for 10 minutes, and (while lying down) place the slices on your forehead with a washcloth on top. This should lower your fever in 20-30 minutes. Dip a washcloth in a bowl of 1/2 water and 1/2 vinegar, wring it out, and apply to your forehead. Take a bath in 4-5 gallons of room temperature water mixed with the juice of about 8-10 limes. Add 1/2 cup of vinegar to lukewarm bath water and soak for 5-10 minutes. Soak two washcloths in egg whites, put on the soles of your feet, and cover with socks. Egg whites are by far the best method to lower a high temperature within minutes. The egg whites instantaneously start to draw the temperature down from the brain (where it is dangerous) to the feet (where it can do no damage). Place a slice of raw onion on the bottom of each foot and wrap your feet in a warm blanket. It works when the onion turns brown it means your fever is gone. Warm a mixture of 2 tablespoons of olive oil and 2 large crushed garlic cloves. Apply the mixture under the sole of each foot, wrap each foot with plastic, and keep on for the night. Olive oil and garlic are both wonderful home remedies for fever. It's simple.... take a pair of socks, soak them (I mean SOAK them... like in a sink) in regular white vinegar, then put them your feet. Be sure to monitor the temperature WHILE the socks are on. It will drop in seconds. First you boil an egg or two until it's done, and you take the shell off (quickly, because the heat will escape. You need a hot egg for this to work, not a warm one), stick a coin in it (a coin made of real silver is best), and wrap it in a cloth. Then rub that rigorously over the forehead, chest, stomach, and back (this will burn, because the egg is really hot) until the egg becomes warm. When you take the silver coin out, it should have become dark because the egg 'captured' the sickness from the body. Repeat one or two more times, and you should feel better instantly. Mix lime and olive oil together then apply it all over the body from head to toe. Rub the juice of about 3 limes over your body. Last week was another not so great week for me. I was tired and unproductive and fighting off a flu bug. I was feeling better by the end of the week, but of course there’s no do-overs for the week. I made it to my Scribe’s meeting last Monday, and even had a humorous piece to read. We had three new people show up and I think we’ll see at least one of them again. The poetry reading on Thursday was really good. My stomach was still a little iffy at that point so I almost stayed home, but I’m glad I didn’t. I did, however, miss my poetry post on Thursday. I don’t know what happened, it just slipped my mind. Progress was made on the poetry chapbook! I went so far as to start the form selection process. Yes, I said forms. I wanted my first poetry chapbook to be based on some of the forms I’ve explored, but some of my examples leave something to be desired so I’m either going to have to fix the examples I don’t like or pick a new theme. Tuesday: Part four of my series on Home Remedies. This week will feature fevers. A couple of the old-style remedies are a real hoot! Friday: Chapter 8 of Fire. So whose body did they find? And what did I mean by ‘the first’ body? I have some work in someone else’s office to do this week. It’s funny but working in someone else’s office always makes me wonder what I do with all my time when I’m working from home ‘cause I get my outside work done plus my own work done in the same amount of time. Tuesday my poetry group meets and the ‘poemwork’ was to write a poem about a six-legged dog. I haven’t written the example for my Rondeau yet, and I’m toying with the idea of killing two birds with one stone and writing a Rondeau about a six-legged dog. Towards the end of the week my turn at the Musical Chairs Blogfest over on Absolute Write will be coming up. I will be posting my offering on Thursday on my Other Blog so don’t forget to check it out. And that’s pretty much what’s going on with me this week. How about you? Two ounces of rhubarb, sliced, one ounce of jesuit’s bark in powder, tow ounces of sugar candy, two drams of juniper berries, sinamon and nutmeg, of each a dram, a quart of wine infuse it in. The juice of three or four slices of lemon should be squeezed in a cup of tea and taken by the patient for treating this condition. It gives immediate relief. The crust of lemon, which is generally thrown away, has been found useful in headaches caused by heat. Lemon crusts should be pounded into a fine paste in a mortar and applied as a plaster on the forehead. Applying the yellow, freshly pared-off rind of a lemon to each temple will also give relief. Apples are valuable in all types of headaches. Alter removing the upper rind and the inner hard portion of a ripe apple, it should be taken with a little salt every morning on an empty stomach in such cases. This should be continued for about a week. Take dry peacock’s dung (the white part) four ounces; millepedes, alive bruis’d, one ounce, black cherry water, white wine, each one pint and a half: Let them stand cold twenty-four hours; then having clarify’d it, by passing thro’ a flannel bag, add Langius’s antepileptick water, three ounces, spirits of lavender compound, on drachm and a half, oil of nutmeg, three drops, syrup of peony compound, six ounces, mix and give a pint nights and morning. The flowers of henna have been found valuable in curing headaches caused by hot sun. The flowers should be rubbed in vinegar and applied over the forehead. This remedy will quickly provide relief. Cinnamon is helpful in headaches caused by exposure to cold air. A fine paste of this spice should be prepared by mixing it with water and it should be applied over the temples and forehead to get relief. The herb rosemary has been found valuable in headaches resulting from cold. A handful of rosemary should be boiled in a litre of water and put in a mug. The head should be covered with a towel and the steam inhaled for as long as the patient can tolerate. This should be continued till the headache is relieved. Chamomile has anti-inflammatory and pain-relieving properties, helps to ease emotional tension, and is especially helpful for tension headaches. Chamomile has a sweet, herbaceous and slightly tart fragrance. Peppermint helps to relieve pain, is antispasmodic, and stimulates circulation. The pungent menthol scent has an uplifting effect on the emotions and helps to clear the brain. Take goat’s dung and mix it with vinegar of squils and anoint the head and temple therewith or this, frankinsence, mirrh and an egg beat them together and apply it to the head and temples. Massage is a powerful technique for relaxing the tense muscles that contribute to headaches. By stimulating pressure points in the head and neck, you can release the blocked energy that causes tension and migraine headaches. You can easily massage your own temples, forehead, and neck, but you will have a more relaxing experience if someone else performs the massage on you. The two points located just under the base of the skull where the neck joins the head are among the most important acupressure points for the head. To find these points, place your fingers at the top vertebrae of your neck, and then move your fingers to the side approximately one inch along the base of your skull until you feel a small indentation on either side. These points may feel slightly tender. Apply firm pressure with your thumbs or the pads of your fingers, making a small rotating motion if you desire. In general, the more deeply you massage the points, the better the results. Continue massaging for one to three minutes, until you feel the tension release from your neck and head. A hot foot bath is excellent for easing a tension headache. Fill a basin with water as hot as you can comfortably tolerate, and add ten drops of lavender essential oil. Soak your feet in the hot water, and at the same time, place a cold cloth on the back of your neck or your forehead or wherever the pain is concentrated. Relax for at least 15 minutes, replacing the cold cloth with a fresh cloth as needed to maintain a cold temperature. Last week was a bad week for headaches which made it hard to be productive, but it wasn’t a total loss. When I wasn’t feeling up to writing, I got some reading done, including catching up on some blog reading and responding. The amazing Heidi Sutherland has started up a writing community called Wrymo. This is a place created by writers for writers and it’s free to join. Drop on by and sign up. It’s brand new and promises to be lots of fun! Take a second to check out the widgets on the left. I signed up for Goodreads last week – a much better/easier way of keeping track of what I’ve read/am reading than trying to keep a web site updated. Tuesday: Part three of my series on Home Remedies. I was going to do these in alphabetical order, but this week I think I’ll mix it up a bit. Thursday: The poetry form of the week will be the Rondeau. Friday: Chapter 7of Fire. Where did all the snow came from? What’s going on in the village? Don’t ask me, I haven’t written it yet. I have two more plot holes to fill up in Forever and For Always and then I can print it out for line edits. I’m really looking forward to going at it with my coloured pens. Tonight I have a meeting with the Northumberland Scribes, and our prompt for the day was to write something humourous. I was also challenged by one of the members to write something anthropomorphic. I will post both my pieces tomorrow on Random Writings. Thursday my poetry group is giving a tribute to one of its founding members, who’s retiring due to health reasons. Instead of three separate poets reading their work, the reading will consist entirely of this member’s work, read by a few other members of the group. This is a form that I had started to explore at one time, then abandoned thinking it was a little too complicated for the time frame I was working with. The canzone is an Italian form with strong similarities to the sestina. There are no rhymes; instead there are five keywords that determine the structure of the poem. Every line ends with one of the keywords, which must appear in a prescribed order. Scholars believe that the first canzone was delivered at the Sicilian court of Frederick II during the early 13th century, leading to an explosion of early canzone, ballata, and sonnet compositions on the island. While many believe the canzone influenced the sonnet, the two forms actually developed side-by-side in the 13th century. The canzone grew more popular when the triumvirate of pre-Renaissance Italian poetry and literature – Dante Alighieri, Francesco Petrarch, and Giovanni Boccaccio – learned and publicized the form. The structure of the canzone is five verses of 12 lines with a five line envoi. It was originally syllabic, using Italianate lines. In English it is often written in iambic pentameter, but it is really up to the poet whether the poem is to be syllabic, metered or unmetered. It wasn’t until I attempted to create an original example of a canzone that I figured out why I’d abandoned it in the first place. It’s even worse than a sestina! While I did start writing a canzone and have every intention of one day finishing it, the example below is not by me. What ruins and hyenas cannot know. Home remedies have been passed down for generations. Sometimes they’re helpful, sometimes they’re down right outrageous. This series is just the tip of the iceberg when it comes to home remedies. And it goes without saying that the remedies in this series are for entertainment purposes only. Honey is one of the most common home remedies for asthma. At the time of asthma attack a jug full of honey should be placed under the nose of the patient, within a few minutes the patient would start breathing easily. One can also mix 1 teaspoon honey in a glass of water and have it 3 times a day. Dip a brown paper the size of two hands in strong saltpeter water and burn the same in the room before going to bed. It will give great relief. Garlic is another effective home remedy for asthma. Ten garlic cloves, boiled in 30 ml of milk, make an excellent medicine for the early stages of asthma. This mixture should he taken once daily by the patient. Garlic cloves boiled in milk or steaming ginger tea with two minced garlic cloves in it, can also help to keep the problem under control, and should be taken in the morning and evening. The herb bishop's weed has been found valuable in asthma. Half a teaspoon of bishop's weed should be mixed in a glass of buttermilk and taken twice daily. It is an effective remedy for relieving difficult expectoration caused by dried-up phlegm. A hot poultice of the seeds should be used for dry fomentation to the chest twice daily. The patient can also inhale steam twice a day from boiling water mixed with carom seeds. It will dilate the bronchial passages. I thought Musal Monday was appropriate because I’m reviving my poetry forms for Thursdays starting this week. Last week was . . . strange. There were a lot of weird things happening - some good, some bad. I got derailed and side-tracked more than I would have liked, but I still managed to get a goodly amount of writing done. After several false starts and re-writes of Friday’s serial post, I not only got it finished and up in time I’ve also just about finished this week’s installment. If I didn’t get as much done as I would have liked I blame Christine Feehan. I started reading Hidden Currents and had a hard time putting it down. Now I’m having a hard time resisting Water Bound. I used our spiffy new ION turntable to record four of my classical albums to CD. Although it records to iTunes, you don’t need to set up your own account for the process to work and it’s really easy to pick and choose the tracks to burn if you want. I ran out of CDs, otherwise I would have recorded more of them. One of my nieces gave me a really neat fountain for Christmas – it has a submersible light that changes colour and gives off a cool mist effect. I finally put it together and it’s even neater sitting in the corner of the living room. The cats were a little freaked out by it, but hopefully they’ll leave it alone. Tuesday: Part two of my series on Home Remedies will feature cures for Asthma. I think my favourite part of the research for this series is the old time remedies which I’ve set in italics. Some of them are a real hoot! Thursday: The revival of my series on poetical forms will start with the Canzone. Friday: Chapter 6 of Fire. Finally, they’re on their way back to the village. I need to make the final decision on the poems for my poetry chapbook. Then I need to settle on the design. I’m still waffling on the traditional saddle stitch versus one of the more unique Japanese or side-stitched methods. It’s looking to be another quiet week this week, which makes me a little nervous. It’s like the calm before the storm, only there’s no knowing what the storm might be. Guess I should be knocking wood to avoid drawing bad luck. And that’s my week, such as it is. How about you? What are you up to this week? Yosa Buson was a Japanese haiku poet and painter. He was born in a suburb of Osaka, Japan, and lost both parents while he was still young. In 1737 he moved to Edo (now Tokyo) to study painting and haiku poetry in the tradition of Basho. After the death of one of his poetry teachers in 1742, he toured northern areas associated with Basho and visited western Japan, finally settling in Kyoto, Japan, in 1751. Particularly active as a painter between 1756 and 1765, Buson gradually returned to haiku, leading a movement to return to the purity of Basho's style and to purge haiku of superficial wit. He married about 1760 and had one daughter, Kuno. In 1771 he painted a famous set of ten screens with his great contemporary Ike no Taiga, demonstrating his status as one of the finest painters of his time. The poetry group that he formed published its first book in 1772. His haiku poems show a more objective, pictorial style than Basho's humane, wide-ranging work. 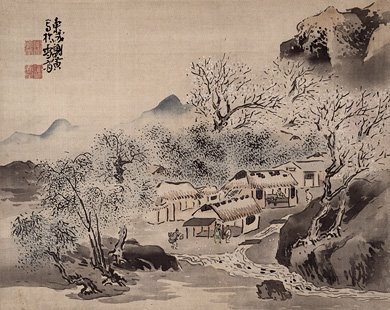 While Basho taught, "Master technique, then forget it," Buson's technique is less transparent and his poems more consciously composed. He was a poet of enhanced sensibility and evocation. In 1776 his group built a Bashoan (Basho house) for gatherings. Also, his daughter married that year, although this unhappy marriage grieved Buson. 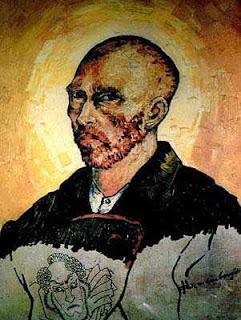 Despite his poetic brilliance, Buson was remembered more as a painter until essays by modern Japanese writers Masaoka Shiki and Hagiwara Sakutaro revived his reputation. Besides haiku, he wrote longer verse influenced by both Chinese and Japanese classics. Buson's major contribution to haiku is his complexity and his painter's eye. His technical skill as an artist is reflected in the visual detail of his poetry. Take half a quarter Pound of Bitter Almonds, blanch, stamp them, and put them into half a pint of Spring-water, stir it together; and strain it out; then put to it a pennyworth of the Flour of Brimstone. Shake it well when you use, which must be often. Dab it on with a fine rag. Pound an orange peel with water on a piece stone and apply on acne affected areas. Orange peels are mildly acidic in nature and help to cleanse the skin of excess sebum. You can make a face scrub out of gram flour and orange peels. Dry a few pieces of orange peel and grind them lightly so that you get a coarse powder. Mix this powder with an equal amount of gram flour and then add enough water to this powder to make it a thin paste. Massage your face with this paste and then leave it on for five minutes before rinsing it off with lukewarm or cold water. Apply lemon juice and rose water in equal amount with a cotton ball and leave for half an hour, then wash. Repeat this remedy for 20-25 days. Lemon juice is acidic in nature and also contains Vitamin C which is beneficial to overall skin health. If you have very sensitive skin, you can dilute the lemon juice with an equal amount of fresh mint leaf juice as this will help to reduce inflammation. This is also one of the popular home remedies for blackheads. Mix 3-4 drops of lemon juice in 1 tablespoon of sour cream, 1 tablespoon of yogurt and 1 tablespoon of grind oatmeal. Apply on face, leave the paste for 10-15 minutes and wash.
Garlic has been used successfully to heal acne. Rub with raw garlic several times a day. Garlic is known to have cured the toughest of acne problems. The outside use of garlic helps to clear the skin of spots, pimples and boils. Acne can be further cured by eating three seeds of raw garlic once on a daily basis for a month. This purifies the blood stream and ensures basic purification of blood keeping acne away. Garlic contains Allicin which is a natural antibiotic agent and this helps to prevent the spread of acne. If you have sensitive skin, you could add garlic juice to a spoon of yogurt and apply this mixture to your face. Yogurt contains several vitamins and healthy fatty acids and helps to moisturize your skin without making it oily. Grated cucumber applied over the face, eyes, and neck for fifteen to twenty minutes has been found useful. It is the most excellent boost for the skin of the face. Its usual use prevents pimples and blackheads. Grated cucumber applied over the face, eyes, and neck for fifteen to twenty minutes has been found effective. It is the best tonic for your complexion. Its regular use prevents pimples and blackheads. Cut a bean in half; place half of it on the pimple and bury the other half. The pimple will be gone in the morning. Take small amount of ground almonds and honey and make a fine paste. Gently massage this paste on your face with a hot washcloth and then rinse with cold water. Mix 1/2 cup mashed apple, 1/2 cup cooked oatmeal, 1 slightly beaten egg white and 1 tablespoon lemon juice into a fine paste and apply to your face for at least 15 minutes to 20 minutes and rinse with cold water. A teaspoon of coriander juice, mixed with a pinch of turmeric powder, is an additional effective home medicine for pimples and blackheads. The combination should be applied to the face after carefully washing it each night before retiring. Mint juice can be used in a similar mode as coriander juice. This is one of the best home remedies for acne. Fenugreek is a new useful therapy for acne. A paste made of the leaves of this vegetable, applied over the face each night before bed and washed with hot water in the morning, prevents pimples and blackheads. I didn’t get nearly as much writing done over the holidays as I’d hoped, but it wasn’t for lack of trying. Things just kept getting in the way. *shrugs* Such is life. I did get the books set up for my business – it wasn’t nearly as bad as I’d anticipated. In fact, it was embarrassingly easy. Shouldn’t be any problem to keep them up to date either. I also got the USB turntable set up, although not without a few . . . um . . . glitches. Now the big headache is, where to keep it when it’s not being used. It’s very light weight, so I’m all for putting up a shelf above the printer and putting it there so it can stay plugged into the computer. My husband thinks we should put it on the shelf up in the closet and just bring it down when we want to use it. My husband is not the one who will be hooking it up and unhooking it constantly. Hey! Anyone want to read the beginning of a great thriller? Check out Angel Eyes by Alex Westhaven. New chapters are posted every Wednesday and Saturday. If the first chapter is any indication, it promises to be an exciting read! 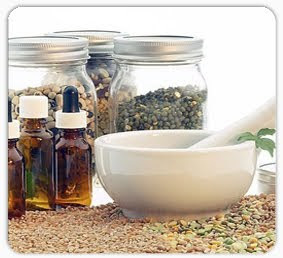 Tuesday: I’m starting a new series this week, this one on herbal remedies. I think everyone has a favourite remedy or two, maybe even passed down from generation to generation. Thursday: Part X , the final part, of my Famous Poets series will feature Yosa Buson, the Haiku master. Friday: Chapter 5 of Fire. I think it’s time to get these two out of the cave and on their way. First meeting of the year – it being the first Monday of the month the Northumberland Scribes meet tonight. Okay, I’m sure there’s more than just that going on this week, I mean besides my usual writing, editing, and reading (please note the order), but I can’t think of anything right now. So, how about you? Any big plans for the first week of the new year?